7212 Wild Apple CtCane Ridge,TN 37013U.S.A. 2440 Prairie Hill Dr #41Cane Ridge,TN 37013U.S.A. 2436 Prairie Hill Drive #40Cane Ridge,TN 37013U.S.A. 2416 Prairie Hill Drive #35Cane Ridge,TN 37013U.S.A. 2412 Prairie Hill Drive #34Cane Ridge,TN 37013U.S.A. 2424 Prairie Hill Drive #37Cane Ridge,TN 37013U.S.A. 2409 Prairie Hill Dr #28Cane Ridge,TN 37013U.S.A. 2456 Prairie Hill Dr #45Cane Ridge,TN 37013U.S.A. 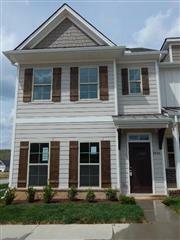 2110 Notchleaf Road #20Cane Ridge,TN 37013U.S.A. 5329 Kimsaw CirCane Ridge,TN 37013U.S.A. 1446 White Dutch LaneCane Ridge,TN 37013U.S.A.